“The Best of the Best.” One master bedroom, three double bedrooms, three showers, kitchen, full meal service, observation lounge with rear-facing windows on lower level, dome-lounge on upper level, stereo, TV/VCR/DVD, surround-sound home theater and Wi-Fi. Push-pull equipped. 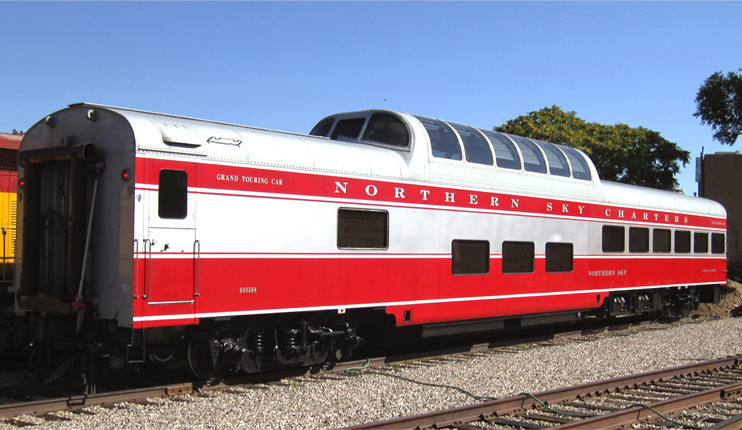 Built by ACF in 1955 as Union Pacific 9003. 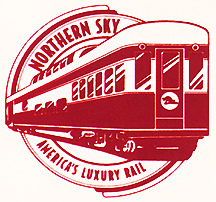 Assigned to “City of Los Angeles.” Sold to original Auto-Train in 1973. Rebuilt and redecorated by current owner. Has been in deluxe charter service since 1992 and was redecorated in 2013. Based in Chicago.